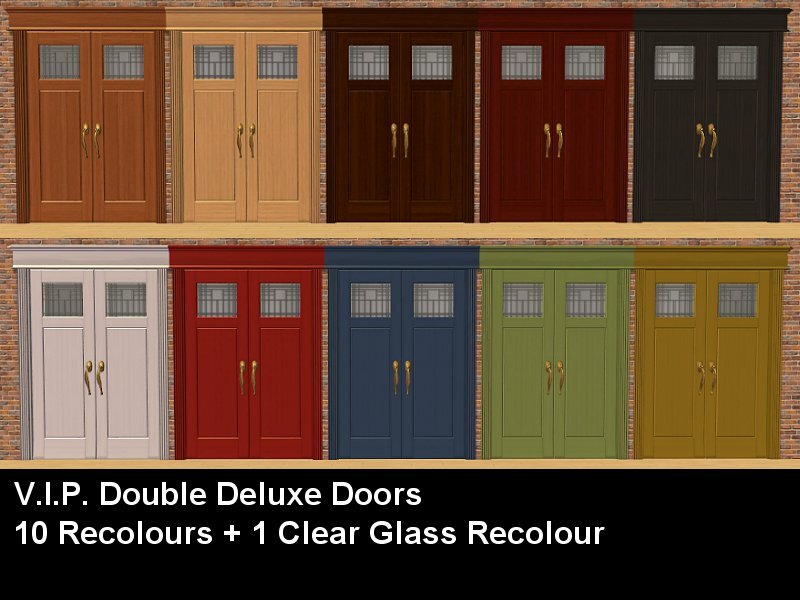 These are actually really lovely doors - if you have them in decent colours. 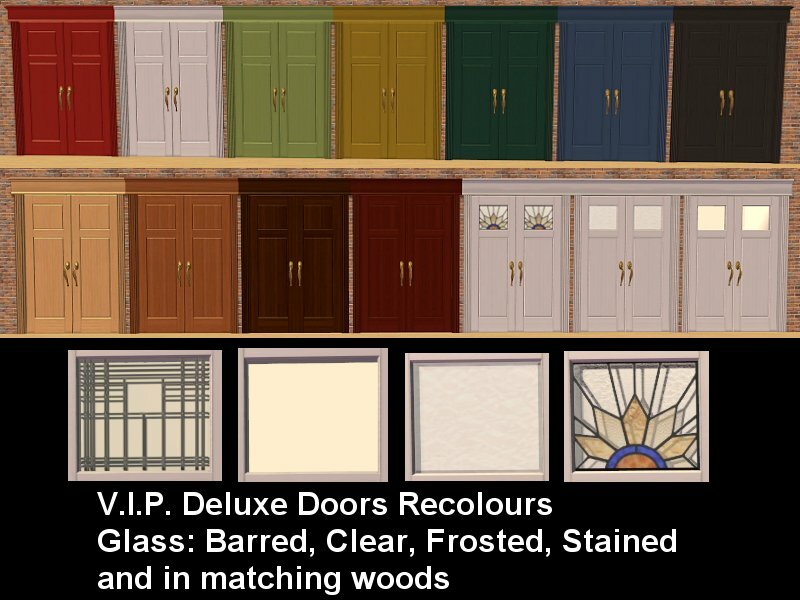 The 13 recolours also match the Walnut doors and the Colonial doors that were uploaded here. The glass this time has got many recolours. Firstly, there is a recolour in each matching wood - this gives them a more tailored look. Next there is a Frosted Glass and a Clear Glass, and a Clear Barred Glass. (The Barred Glass is a classic Craftsman look). Finally there is a simple stained glass window. 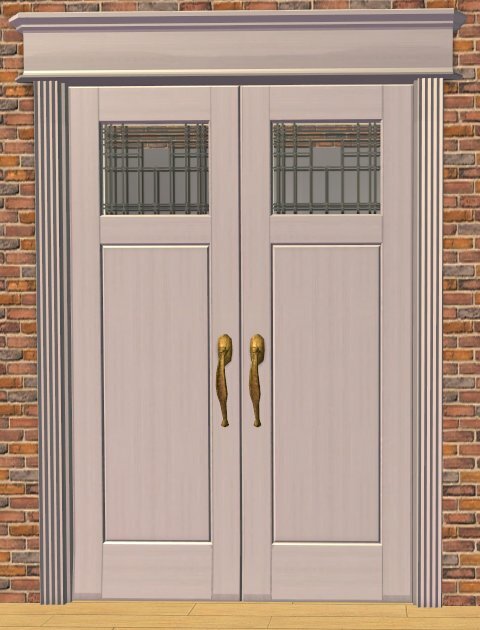 Because the texture is repeated on the front and back of the door, it means that the pattern in the glass needs to be symmetrical. P.S. Thanks to Michelle and AmythestFenix for Wood Textures, and Shastakiss for Metal Textures. The colors are gorgeous, Kiri! Nice job, thank you.